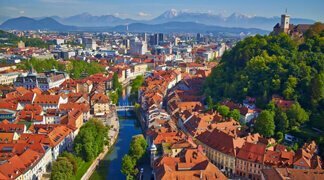 Ljubljana is a charming central European capital city with tradition, culture and atmosphere which has been described by many visitors to inspire love at first sight. 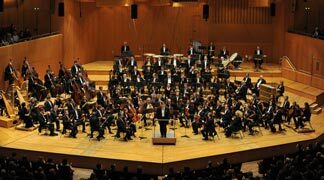 The information and local knowledge provided here by DT Slovenia – Ljubljana DMC is only a preview of the most enjoyed venues and activities. 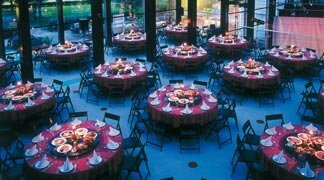 We are use to custom made arrangements for other activities and venues specially crafted for meetings & events that meet your specific demands. 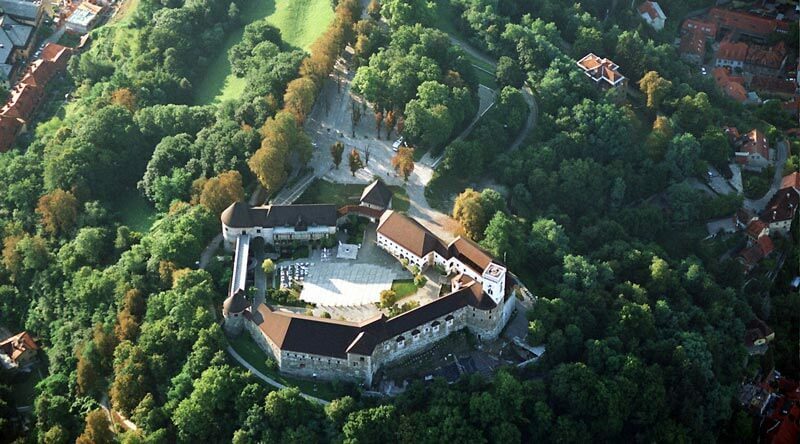 Compact in its size, Ljubljana is a real treasure for a corporate meetings events. After a busy business day, guests can relax and enjoy its variety of different activities. The Baroque old town center with its cobbled streets, bridges, squares and markets, fountains, cathedral and churches is all within walking distance is a delight! Towering above the old town, in full view from below and far, is the Ljubljana castle, offering a marvelous view of the surrounding city below. Come join us for a visit to Ljubljana, it will be a true pleasure for everyone. Ljubljana, the conference center of Slovenia, offers a variety of conference venues whether located in one of its historical hotels in the city center or at the modern Conference Exhibition Center which can accommodate up to 2000 participants, all provide unique event solutions. Not only is Ljubljana compact, but such is the entire country. With the coast, mountains and vineyards, all located a mere hour away from the center, exploring Slovenia offers so many different possibilities eacg region has a character for its own offering unique, authentic experiences. Start your program with an easy access flight from most European Gateways . Enjoy a city orientation tour, strolling amongst the winding streets of the city center and admiring its busy lifestyle ending just before sunset with a funicular ride up to the castle with outstanding panoramic views. A welcome cocktail reception awaits followed by leisurely dinner and networking session. 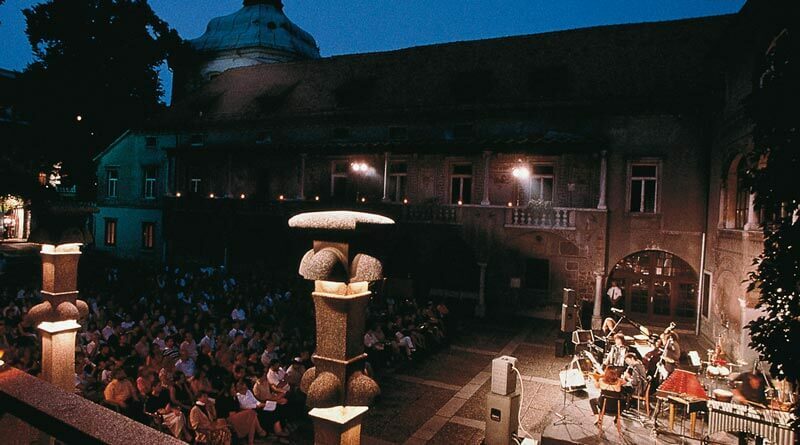 In the last years Ljubljana is characterized by many outdoor festivals that connect local inhabitants with visitors. For a novel twist why not organize a private street food festival or musical evening in order to interact with local culture and flavors while delivering your company’s message in a relaxed and unique environment. Ljubljana City is just a 30 minute ride always from the Ljubljana International Airport Jože Pučnik (LJU), which makes it easily accessible and suitable for short stays or as a begging or end destination for multiday tours. Ljubljana is also easily reachable by roads, which connect the entire south Eastern Europe, northern Austria or the western Italy. If you are up for an escape from urban life just within the Ljubljana city limits, this is the place for your team. Enjoy a wonderful afternoon surrounded by walnut trees while a professional team prepares a custom tailored team building experience. 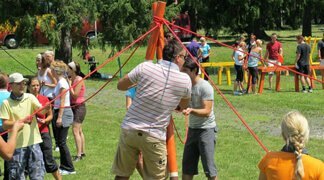 Choose from a vast range of activities and culinary experiences including a fast paced barn escape activity, farm themed group team buildings, and outdoor activities. For a final touch after your activities the team can have a one of a kind traditional meal or skip the activities all together and have a farm fun farewell dinner and party. 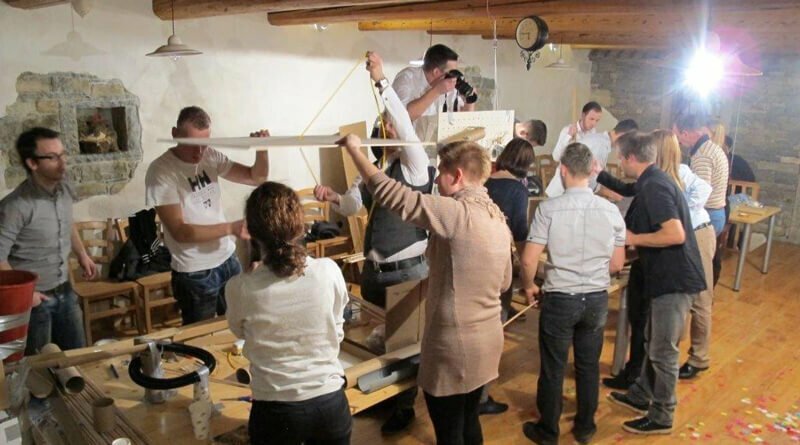 Explore Slovenia’s capital with a selected team activity, which will take place within the city. Either searching for the treasure or biking along the riverbanks or trying to beat the opposing teams in a timed challenge. 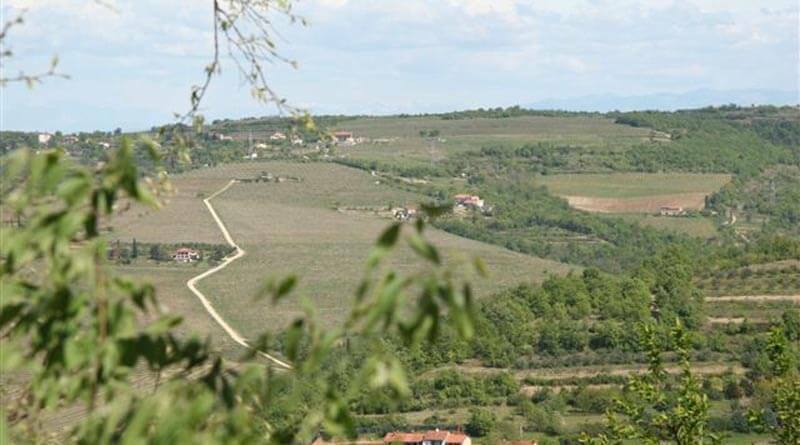 All can be arranged within the city with a note towards the cultural and natural heritage. Motivate your team with a real tribe challenge. Just a short distance away from the Ljubljana city center, enjoy nature and a game polygon that will make your team really work hard for the win. 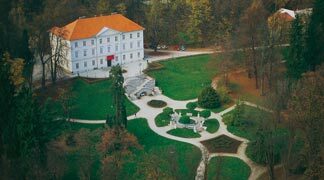 Less than an hour away from Ljubljana, in the lush green countryside there is a mighty snow white castle. It dominates the wider area, as it it has done for centuries. Castle Snežnik is home to the brave knights for whom we know, put a lot of effort into protecting the land and its inhabitants. Nowadays we can recreate the medieval spirit and a take part in real knight’s combat. 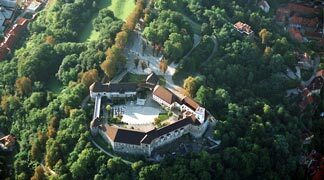 Less than an hour away from Ljubljana, in the lush green countryside there is a mighty snow white castle. It dominates the wider area, as it it has done for centuries. 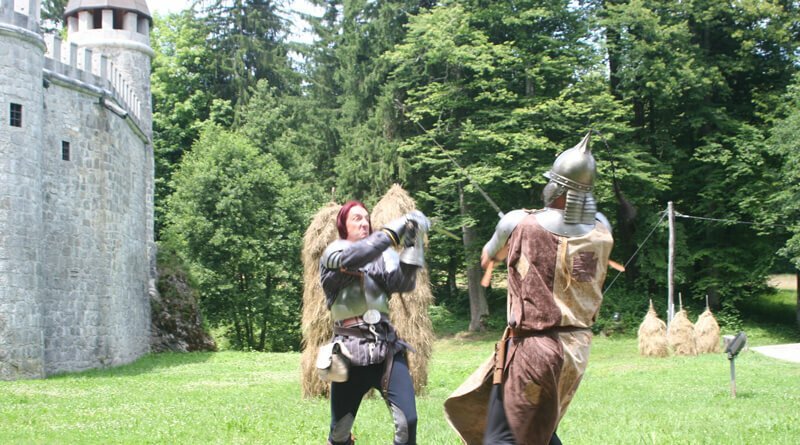 Castle Snežnik is home to the brave knights for whom we know, put a lot of effort into protecting the land and its inhabitants. Nowadays we can recreate the medieval spirit and a take part in real knight’s combat. Ljubljana boosts a diversity of historical buildings that can accommodate the special events. Depending on the size of the group and its interest, we can recreate thematic dinners, artistic entertainment, culinary journeys… Each event is carefully planned by our team that will take care of every detail. The historical venues are mostly located within the City and are within walking distance of fetured hotels. Ljubljana castle has a unique location, dominating the skyline above the city, offering a unique panorama of the greater area. The location is perfect for the organization of gala dinners, cocktail receptions, lunch and cultural programs such as concerts and folklore performances. Its thick stone walls and rich heritage are a unique setting to host an event that will be remembered by your guests. You can choose from an interior suitable for groups of 150 up to 300 guests or an outside courtyard for a size of 500 to 1000 guests. Ljubljana experienced with a modern or quirky twist is possible either in a very modern environment or to its complete opposite, untouched nature. While staying the urban city light the wish of most people is to go for a walk into the nature. We have this opportunity as well, but avoiding the walk we offer a real treat with the cable car journey that is implemented into the dining experience. Enjoy a relaxing ride overlooking the mountain pastures, forests and the mountain peaks around you. 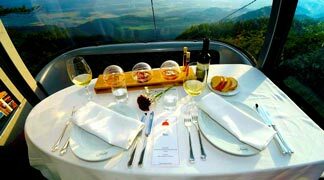 A catered lunch or dinner will be set up in each cable car cabin, with a maximum seating for four. During the journey up and down your courses will succeed station after station until the dessert is delivered at the final station offering an absolutely unforgettable experience. 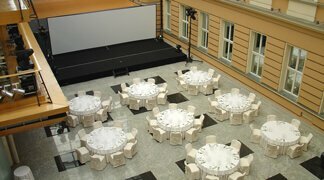 With its juxtaposition of modern and historical architecture the atrium of the City museum of Ljubljana offers a unique setting for smaller gala dinners for up to 80 guests or cocktails for up to 200 participants. 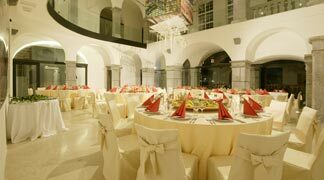 Located in the 17th century Auersperg Palace on the banks of the Ljubljanica river, the space, characterized by its white marble arched colonnade, is the perfect location for groups staying in city center hotels. Smaller in its size, the City museum of Ljubljana, offers a unique setting for a gala dinner in its atrium. Decorated with white arcades the location gives a flavor of authenticity and uniqueness. Located in the city center just a few steps away from the riverbanks, provides a perfect destination for groups staying within the city center. An outdoor venue in the city’s center, perfect for groups, staying in any of the Ljubljana’s City center Hotels, as it mostly within walking distance. 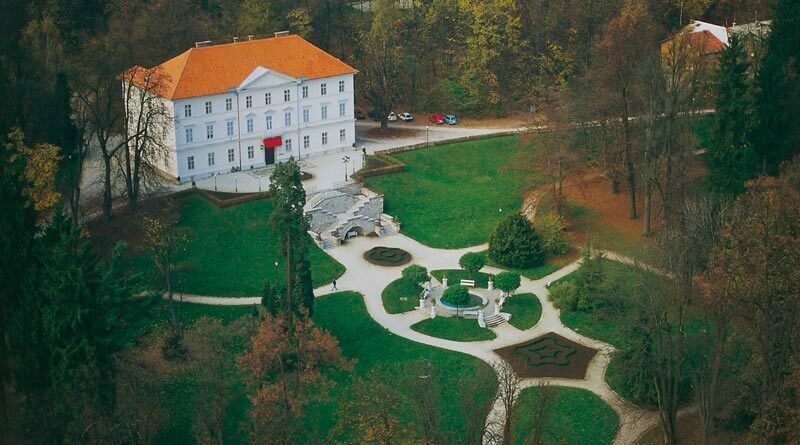 The building is one of the many masterpieces of well known Slovenian architect Joze Plecnik. 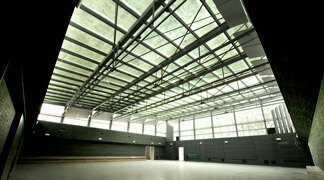 The complex offers an open air garden, suitable for larger and smaller groups., a covered concert hall, ideal as a backup in case of unfavorable weather and finally, the knights room suitable for smaller groups. The entire property provided the ideal back drop for presentations, performances and launches with areas ideally suited to event needs regardless of the size or complexity. 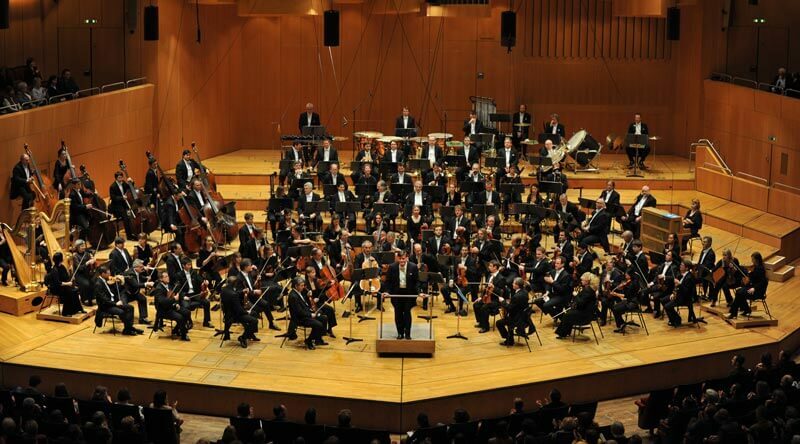 Slovenian Philharmonic building offers one of the best views in the city center, overlooking the Ljubljanica River on one side and Kongress Square on the other. A reception at this elegant venue can be enhanced with a magical musical performance from its students and orchestra. The perfect outdoor setting embraced by the rich gardens overlooking the promenade connecting Ljubljana’s downtown to the 17th century Tivoli Mansion. This venue is perfect for larger groups enjoying this unique outdoor setting. The building itself is home to International Graphical Arts Collection. The entrance hall of the National Gallery offers a modern atmosphere, with its glass wall construction facing Tivoli Park. The space is suitable for large groups and gala dinners as well as presentations and launches. Located close to the major hotels, is a perfect location for a farewell or gala dinner. This modern glass ceiling venue is a blank canvas with all necessary infrastructure for creating a show stopping event. Its size, ideal for about 150 guests either for meetings or banquets or can welcome up 200 for receptions. It is suitable for medium sized groups and perfect for any artistic performance or entertainment program that may be an integral component of your event. This space is perfectly equipped with technical support and a stage. Don’t let the name of this historic venue fool you, located in the city center, this venue has received a modern twist with a glass enclosed atrium offering a truly elegant setting for a gala dinner or reception for larger groups.